This glass clip frame can be wall mounted in vertical or horizontal format. 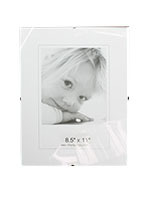 These frameless picture hangers are inexpensive. Most in stock items including this glass clip frame will ship fast from this site. 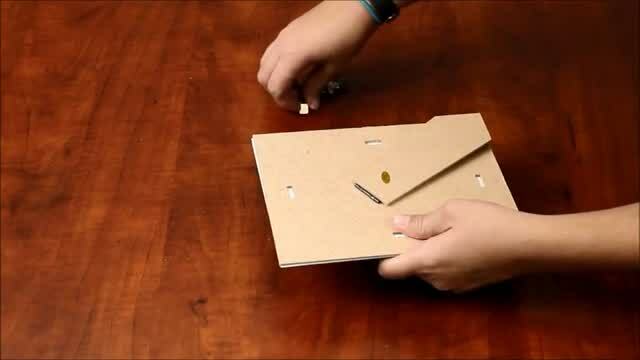 (8) Spring steel clips secure the 1/8" tempered glass panel and 1/8" chipboard back together. (2) Mounting brackets for vertical or horizontal orientation. 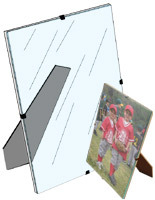 Affordable frameless 115-3/4" x 19-11/16" picture holders are for wall mount display. 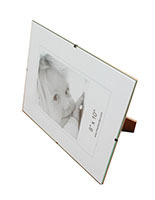 Each photo hanger is a glass clip frame that mounts on a wall using the (2) attached brackets. These large advertising displays are not for use on a desk or mantel. 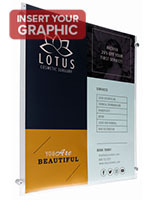 This glass clip frame, known as a poster display has (8) steel clamps around the trim of the display to hold together the chipboard back, picture, and transparent panel. To load the hanger with a photo, users first need to remove the clips and take off the lens, then they can add the graphics. 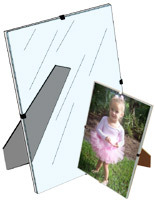 This photo holder is a glass clip frame that has metal clips and is inexpensive. 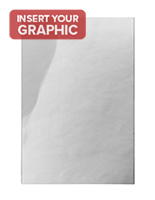 Customers often purchase these sign displays in bulk quantities at a greater savings. 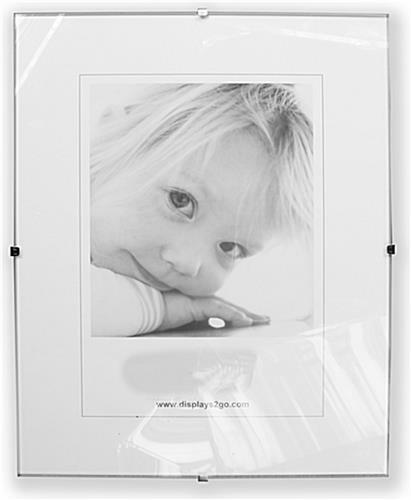 Each print hanger is a glass clip frame that is elegant and makes a great gift. These poster holders are ideal for new graduates, wedding showers, or for a new mom, and much more. 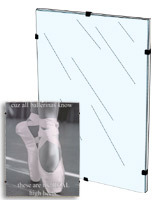 Each 15-3/4" x 19-11/16" glass clip frame is stylish for any décor or setting. The front lens of this sign holder is made of tempered glass, which is much safer and stronger than standard glass. This glass clip frame is ideal for home, office, or business use. The large format of these frameless holders is eye-catching in any setting. The large size of this glass clip frame is not safe propped up with an easel backing. The frameless design of this wall mounting hanger makes the images the main focal point. This glass clip frame is frameless and can be displayed in either vertical or horizontal orientation to work with any sign design. These timeless photo holders protect the prints from damage. 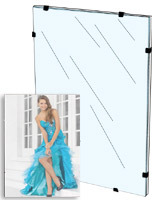 The elegant looks of these frameless photo displays are sure to catch the attention of consumers. 16.0" x 20.0" x 0.25"